Gary Younge, Alfred Knobler Fellow at Type Media Center, is an award-winning columnist for the Guardian and The Nation and an acclaimed author. Born in Hitchin, Hertfordshire and raised in Stevenage near London, Younge graduated at 17 and went to teach English to refugees in Sudan before going on to study French and Russian at Heriot-Watt University in Edinburgh. Upon graduation he was awarded a scholarship from the Guardian to study newspaper journalism at City University in London in 1992. After a brief stint as a researcher on a televised international affairs magazine program World This Week, he joined the Guardian in 1994. In 1996, he was awarded the Lawrence Stern fellowship, which assigns a young British journalist to the Washington Post’s national desk each year. His most recent book, Another Day in the Death of America: A Chronicle of Ten Short Lives (Nation Books 2016) was awarded a J. Anthony Lukas Prize. 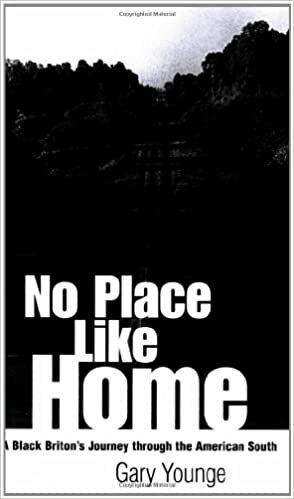 His first book, No Place Like Home: A Black Briton’s Journey Through the American South (Picador, 1999), was published to much acclaim and was released in the United States in 2002. His second book, Stranger in a Strange Land: Encounters in the Disunited States (New Press, 2006), was released on both sides of the Atlantic. His book on politics and identity, Who are We — and Should it Matter in the 21st Century?, was published in the UK in 2010. He is also the author of The Speech: The Story Behind Dr. Martin Luther King’s Dream. In 2018 Younge was awarded feature writer of the year at the Society of Editors Press Awards in Britain and feature of the year at the Amnesty Media Awards for articles about white America and knife crime in Britain. In 2015 he was awarded the David Nyhan prize for political journalism from The Shrenstein Centre for Media, Politics and Public Policy from Harvard’s John F. Kennedy School of Government. He was awarded Newspaper Journalist of the Year by the Ethnic Minority Media Awards in the UK for three straight years 2002 to 2004. He was also nominated for Foreign Journalist of the Year in 2000 for his reporting from Zimbabwe. In 2009, he was awarded the prestigious James Cameron Prize for his reports on the election of Barack Obama which combined on the road reporting with personal insights. In 2017, he received the Aronson Career Achievement Award. Younge has written for the Los Angeles Times, GQ Style, Cosmopolitan, Marie Claire and Hello! He has also presented several television documentaries, most recently Angry White and American. We are an international laughing stock at the moment. But something like this has been coming for decades. By Gary Younge in the Guardian. Our editor-at-large on the six US elections he’s covered so far, the upheaval in politics – and why many Republicans like him. Gary Younge interviewed by the Guardian. Investing in youth services, mental health and schools for all children could end the terrible scourge of knife crime. Michael Cohen’s testimony may be horrifying but it is not shocking. The president’s supporters know exactly what he is. The prime minister must not be allowed to bounce the country into a version of Brexit it doesn’t want. By Gary Younge in the Guardian. When an actor admits to looking for a black man to murder, racism is not some historical problem. Giving publicity to a white supremacist isn’t something I do lightly, but right now, ignoring him seems more dangerous than hopefully exposing him. By Gary Younge in the Guardian. In a single day in 2013, 10 American children died from gunshot wounds. I wanted to find out why this was nothing out of the ordinary. By Gary Younge in the Guardian. A timely chronicle of what is now an ordinary day in America, where gun violence regularly takes the lives of children and teens, and leaves shattered families in its wake. Black, opinionated, and with a distinctly working-class London accent, Gary Younge is not your typical foreign correspondent. Yet, in three years as The Guardian newspaper’s New York correspondent, Younge has acquired a transatlantic reputation as one of the most thoughtful commentators on contemporary America. Combining insight and panache, he has precisely captured the intricacies of a nation perplexed at its growing isolation from the rest of the world and often bitterly divided against itself. 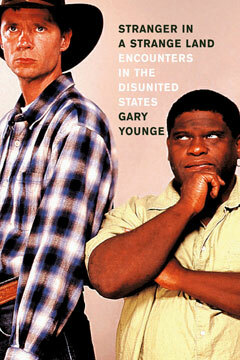 In 1997 Gary Younge explored the American South by retracing the route of the original Freedom Riders of the 1960s. His road trip was a remarkable socio-cultural adventure for an outsider. He was British, journalistically curious, and black. Our work is made possible through the generous support of individuals and institutions committed to a free and independent press, civil liberties, and social justice. We are a 501(c)(3) public foundation, and donations are tax deductible to the fullest extent provided by law. Join our mailing list to receive the latest news about upcoming events, breaking investigations, and new books. Our work is made possible through the generous support of individuals and institutions committed to a free and independent press, civil liberties, and social justice. We are a 501(c)(3) public foundation, and donations are tax deductible to the fullest extent provided by law. If you have any questions, or would like other donation options, contact Kristine at (212) 822-0263. For press inquiries, click here.